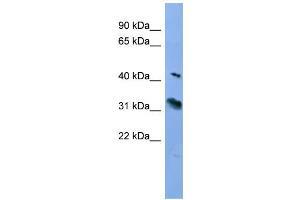 Characteristics This is a rabbit polyclonal antibody against RHO. It was validated on Western Blot. Background Retinitis pigmentosa is an inherited progressive disease which is a major cause of blindness in western communities. It can be inherited as an autosomal dominant, autosomal recessive, or X-linked recessive disorder. In the autosomal dominant form,which comprises about 25 % of total cases, approximately 30 % of families have mutations in the gene encoding the rod photoreceptor-specific protein rhodopsin. This is the transmembrane protein which, when photoexcited, initiates the visual transduction cascade. Defects in this gene are also one of the causes of congenital stationary night blindness.